A website that is constantly improving, who could say no to that? Wrangle your conversion woes and take healthy steps towards adopting a Growth Driven Design approach by simply reading on. Sick of those massive upfront costs? How about the slow turnaround times? Let's not forget the toll it takes on everyone involved in the project. The traditional web design approach just won't cut it anymore. Growth-Driven Design (GDD) is a way of marrying marketing and web design, or otherwise referred to as Conversion Rate Optimisation (CRO). Traditional websites are designed conscious of marketing, but GDD utilises the data that marketers have at their disposal to ensure constant enhancements to a website is reaping maximum results. We break down GDD, step by step, to ensure you're growing from the get-go. By taking the time to reflect on your learnings and make these iterations, you'll watch your website improve in front of your eyes. This asset will open your eyes to a whole new way of approaching web design projects. 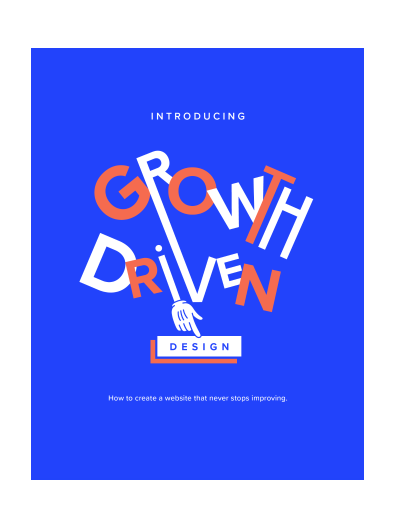 Please fill out your details to continue to the Growth Driven Design resource.